Facebook is the common name to all of us. This is the best social site in the world. Every class of people enjoy it. All of us have a Facebook ID today. According to the present world we can not ignore Facebook. Facebook is very popular in every class of people. That’s why today we have some trick and the name is Stop Facebook Auto Play Videos. So, let’s know about the trick. Facebook is more beautiful in android. We use it in our android very easily. In Android and Computer you can see that Facebook videos are play automatically. Sometime it is irritating. Most of our people want the solution that how can they stop the automatically videos play on Facebook. On the web you can turn it off by going Settings and then Videos and after that Auto play videos and finally turn it off. We are giving this step by step that you can get it very easily. Firstly you need to go to Settings. After that you can see the Auto-Play Videos option. Change the settings from Default to Off. Now you have complete the Settings and now any videos will not start automatically on your Facebook. Now let’s see how can you Off this settings on your Android. Then you need to select App Settings. After that select Video Auto-play. And finally turn it Off. Don’t worry if you are a iPhone user. 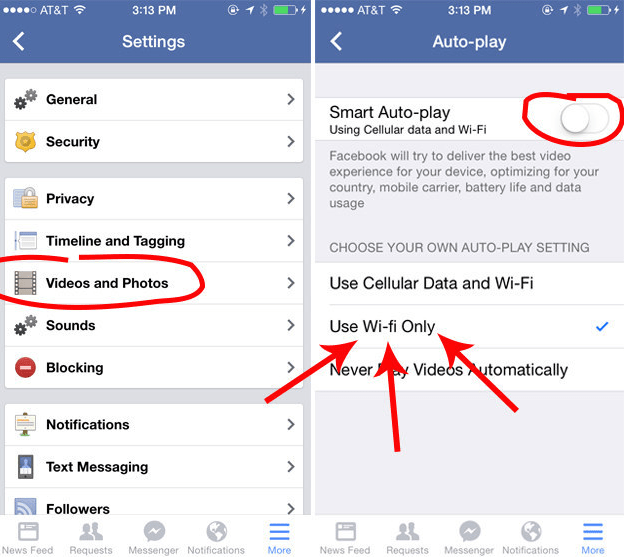 We will show you how can you turn of Facebook auto play videos on iPhone. So let’s know that how can you do it. On your iPhone just simply go to Settings. And then you need to select Videos & Photos. And finally select Never Play Videos Automatically. Now you know the way to stop automatically video play on Facebook. But remember there is another thing which is the best thing and that is if you prefer, you can choose to only use WiFi on iPhone or Android so that you don’t use your cellular data to load them. Hope you like the trick. You can share your opinion by giving a comment bellow.